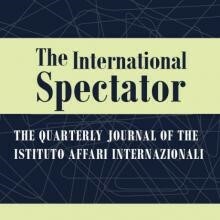 Ferdi De Ville, Niels Gheyle, The Unintended Consequences of the Transatlantic Trade and Investments Partnership Negotiations, The International Spectator, 54:1, IAI, March 2019. Although stalled since 2016, the negotiations on a Transatlantic Trade and Investment Partnership (TTIP) have had major unintended consequences. The TTIP led to demands from third countries to upgrade their trade relationship with the EU and to unprecedented politicisation. As second-order effects of the latter, it endangered the EU-Canada trade agreement and brought about reform of EU trade governance and amendments to EU trade policy positions. These unintended consequences occurred because of inflated expectations about and insufficient awareness of the different nature of TTIP with regard to scope and partner compared to other trade negotiations. In the meantime, EU trade policy has adapted to the new politics of trade, making unintended consequences less likely. You can buy this article here.